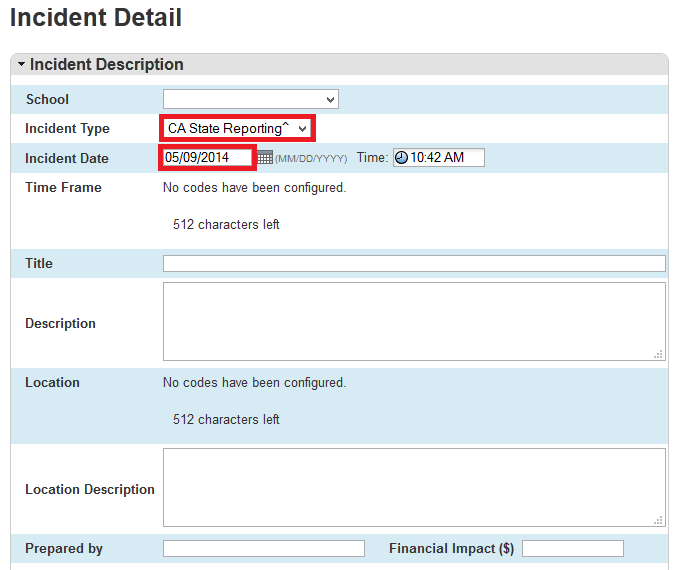 If you are managing discipline incidents in a system other than PowerSchool and find yourself at the EOY in California, you may be more interested in this article here. 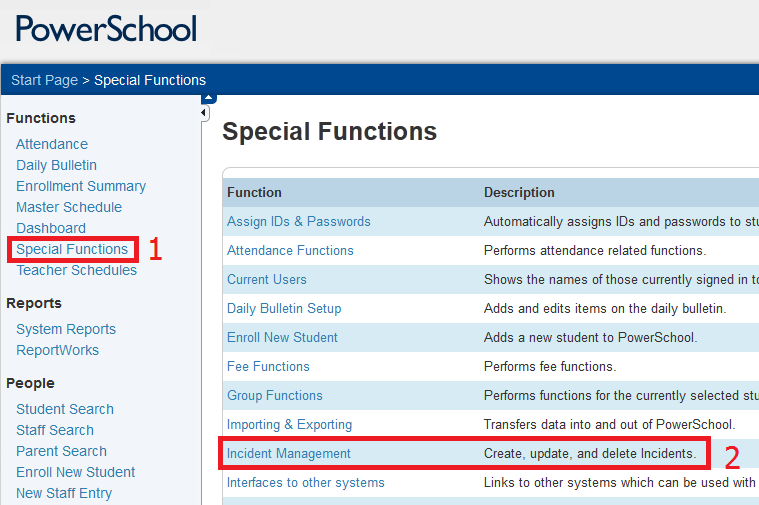 If you are utilizing Incident Manager in PowerSchool, then you are in the right place! 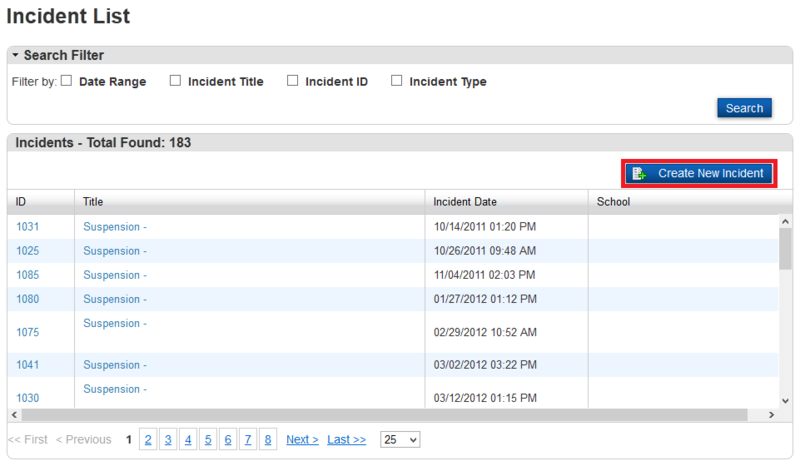 Incident Manager is a module within PowerSchool Student Information System that will enable your staff to track reportable Suspension and Expulsion incidents throughout the year as they happen. Since our focus is on the reportable incidents, we will be using CALPADS EOY 3 guidelines to walk through this process. 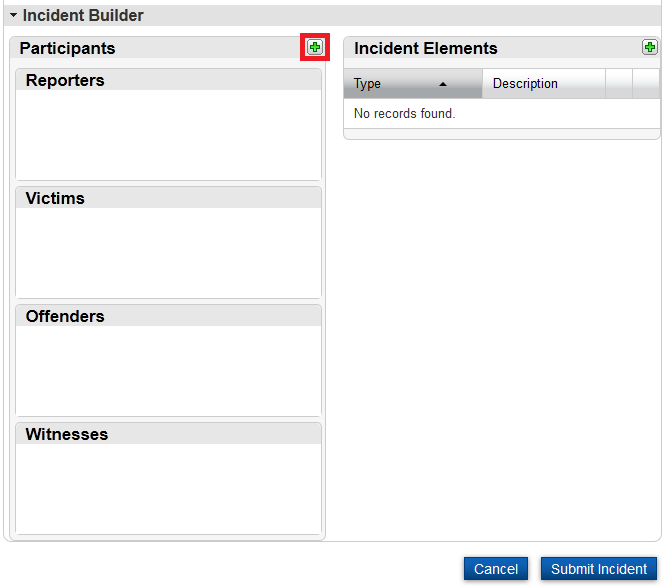 Step 4: In the BOTTOM HALF of the Incident Detail screen titled “Incident Builder”, the two required sections are “Participants” and “Incident Elements.” We will start by adding “Participants”. Click the “+’ sign in the left hand column. 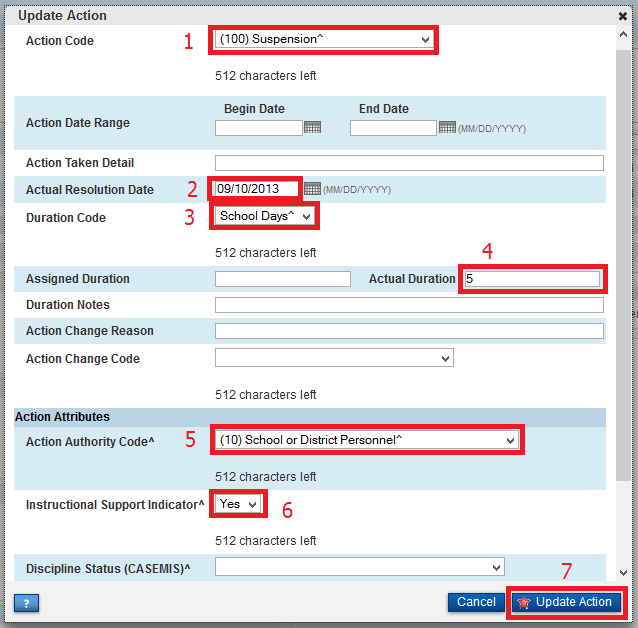 Step 5: We will start by running a query for a participant if they are already in PowerSchool. 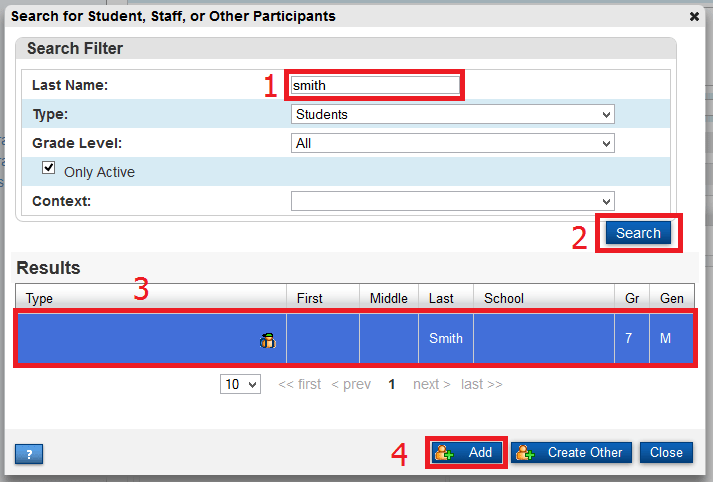 If a participant is not a current staff or student in PowerSchool, you can manually type his/her name after clicking the “Create Other” button on the bottom . In the example below, we are interested in a student with a last name(1) that we search in the entire database(2), selected (3), and added (4) as a participant in this incident. Step 6: Participants can take one of four roles. Of these, only “Offender” is required for CALPADS but the other participation roles can be equally important for your school’s internal tracking. 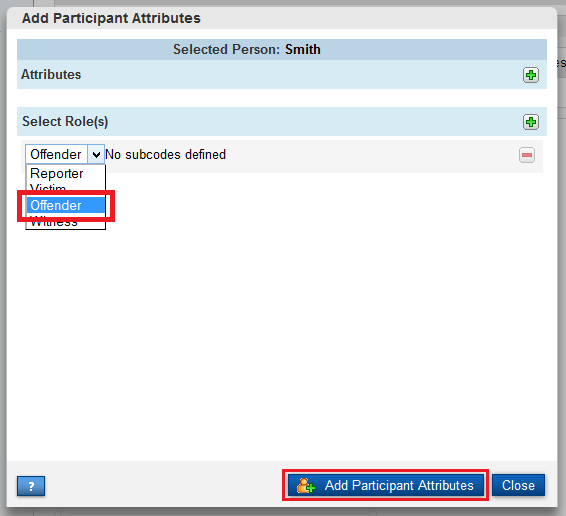 After you select a role, click “Add Participant Attributes”. 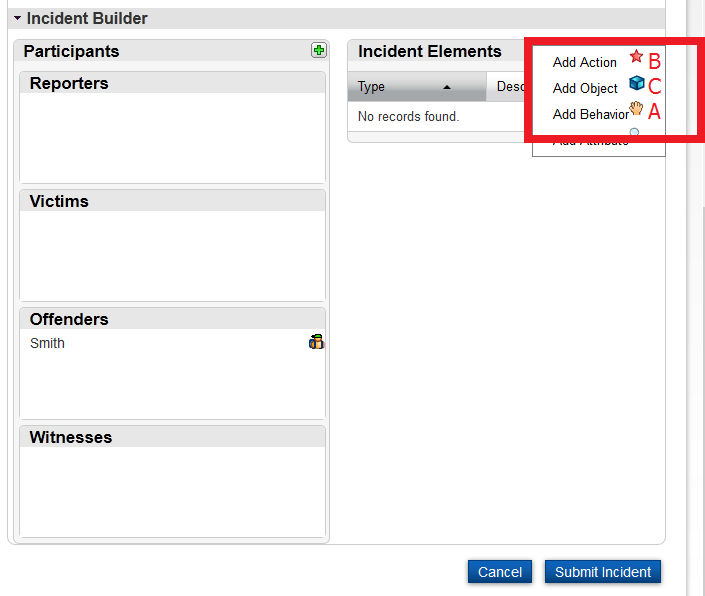 Step 7: When you finish with adding participants, you will need to add Incident Elements. Click on the “+” icon in the right hand side column. 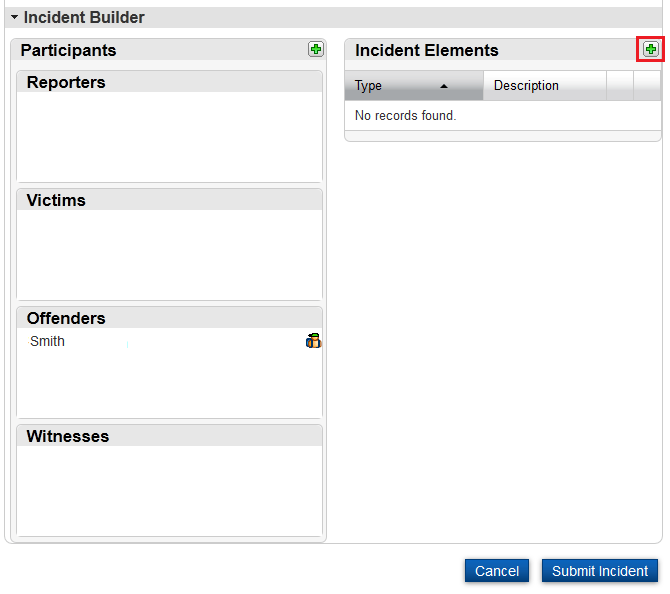 There are three kinds of Incident Elements that are available and relevant to Discipline Reporting. They may seem out of order below, but that is the order in which they should be added. (1) is where you list the behavior of the offense. 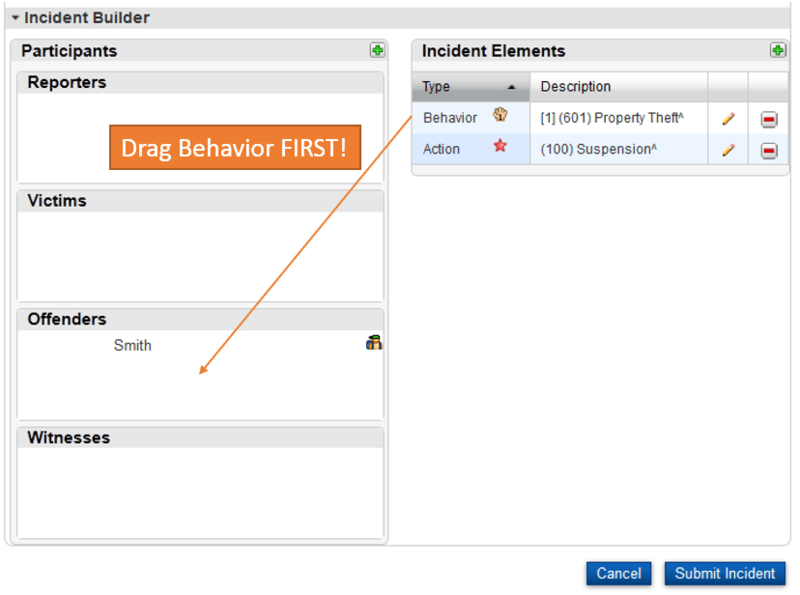 If there is more than one behavior, then only one should be marked with the “Primary Behavior” checkbox in (2). Otherewise, the single behavior should have the Primary Behavior box checked. 1) This is the action taken. 5) Action Authority Code is the entity that executes the disciplinary action. 6) Did this student receive Instructional Support while being disciplined? 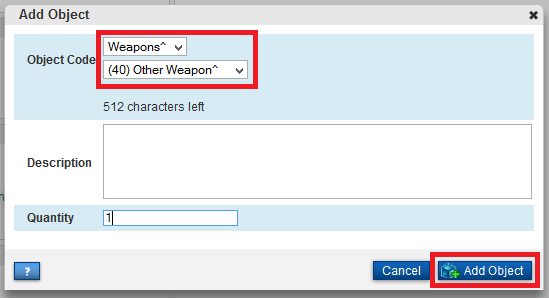 In the case that there is a behavior that requires a code that describes the use of a weapon, an Object Element is required. 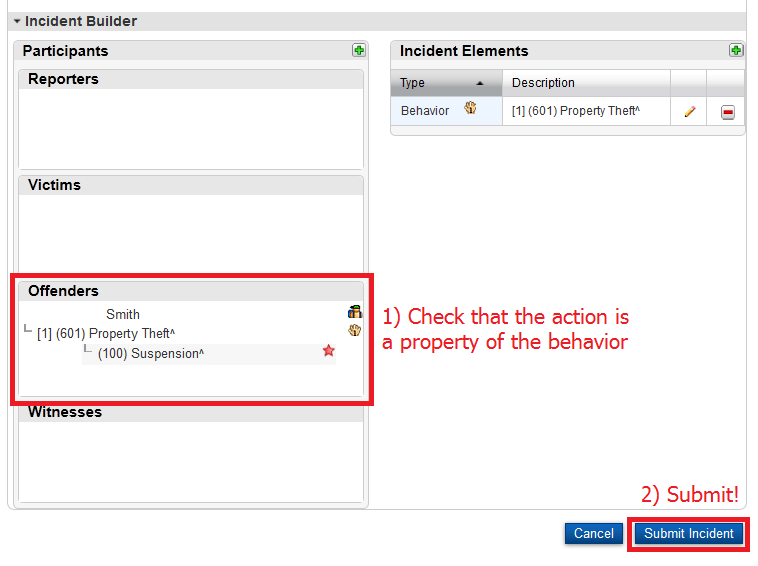 Step 8: Once all of the Elements have been created, we must “link” the elements to the “Offender” by dragging the elements to the Offender Box. IMPORTANT: Always start with Behavior Elements, then Actions and finally Objects. 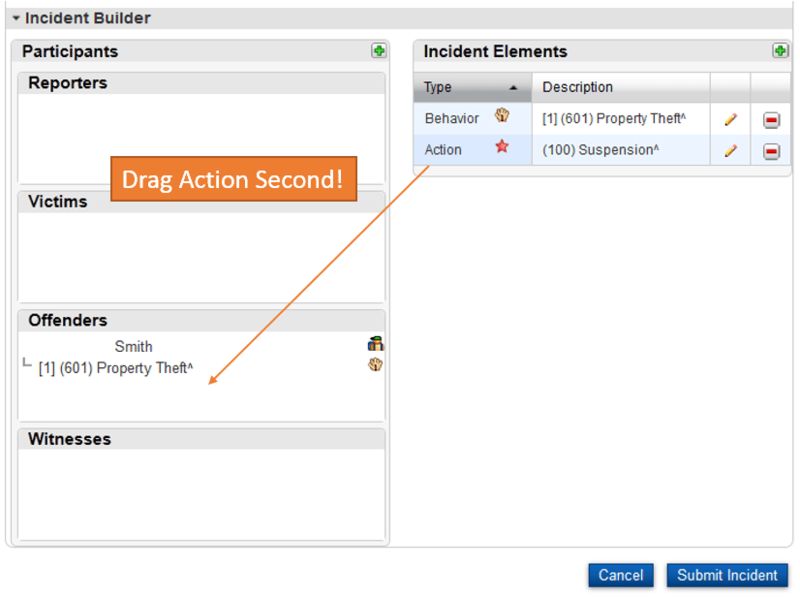 Step 10: In case of expulsion, the only changes that need to be made should be made to the “Action” Element. 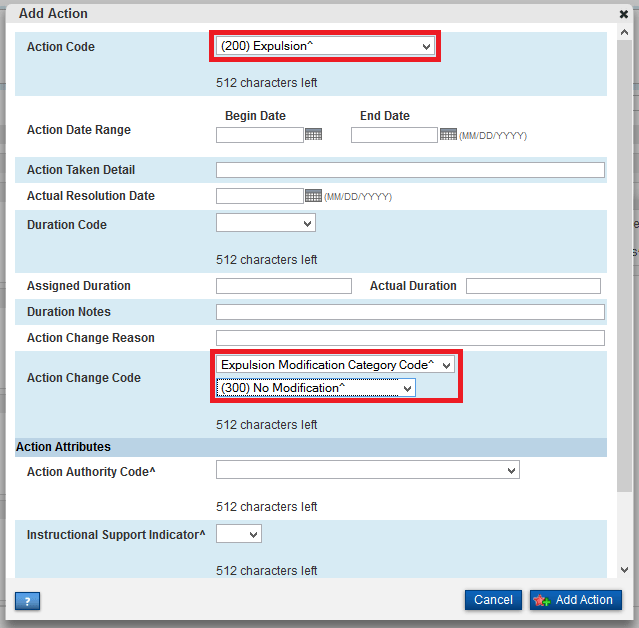 That means changing the action code to the correct code for expulsion, and listing if there are any expulsion modifications.